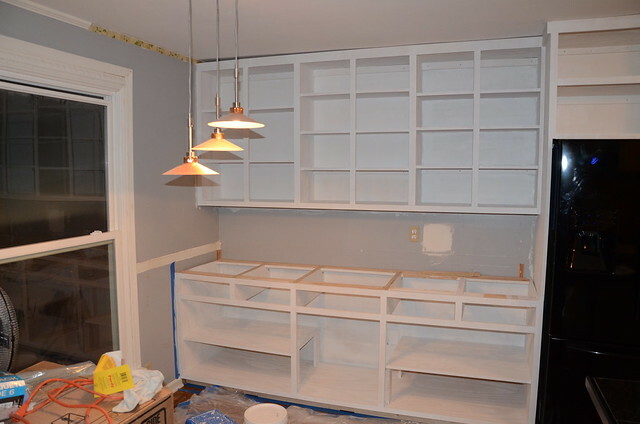 This weekend was spent priming and painting our cabinets. Ick. I forget how much painting cabinets stinks! Mitch spent Saturday morning sanding, filling holes, and doing more sanding. I was able to help a little bit between shuttling the kids around. 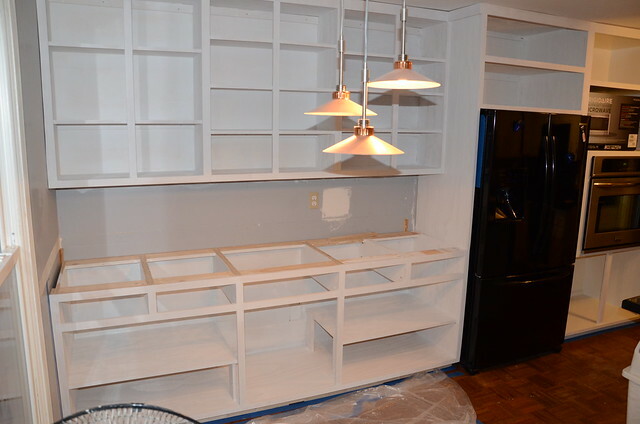 Then we spent the rest of the afternoon priming. It took us a good 3 hours to get everything primed. On Sunday we were able to get our first coat of paint on. It turns out that this is definitely a two person job so Mitch didn't get anything else accomplished this weekend. It just seems like it should go so much faster than it does. We will put a second coat on next weekend. We are using an oil based paint, which takes forever to dry. Then Mitch needs to build the drawers so that we can put a countertop down. I am excited to have more space to spread out. I might even start moving some things into those cabinets once everything is dry. Wow! What a difference a coat of pain makes! 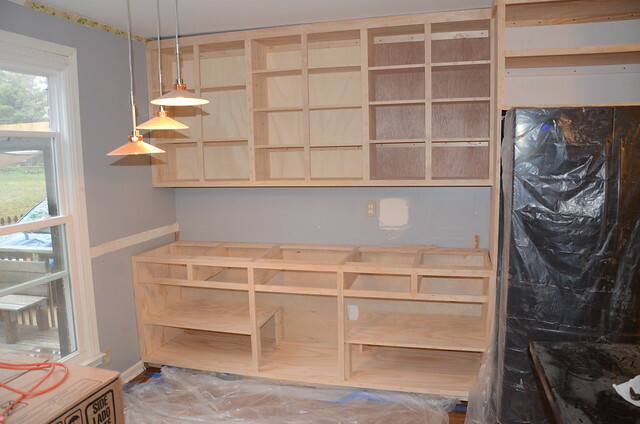 Those cabinets look awesome! I really like white-painted cabinets. Mine are, too! They are looking really great! 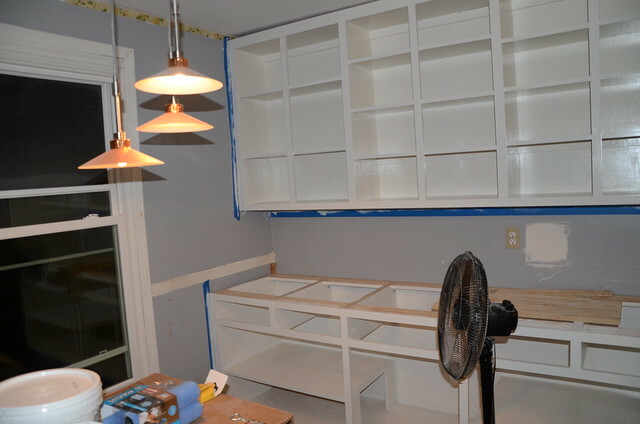 I know painting cabinets takes a while, but in the end you will have a fabulous kitchen with TONS of storage. I envy your storage. I am so jealous of th counter and storage space you have! You guys are doing a fantastic job.